Storing long items? Want to maximise your floor space? 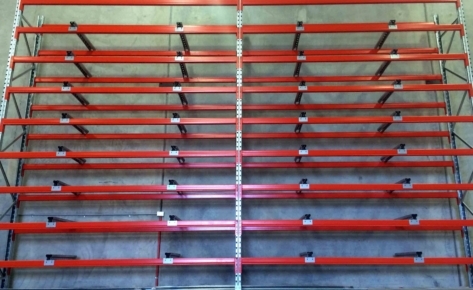 You need cantilever racking – and MACRACK has the best solution available. Cantilever racking is one of our most popular products for a good reason. It’s sometimes referred to as Christmas Tree Racks because of the side profile looking like a Christmas Tree. However, rest assured we sell cantilever racks all year round – not just during the festive season! 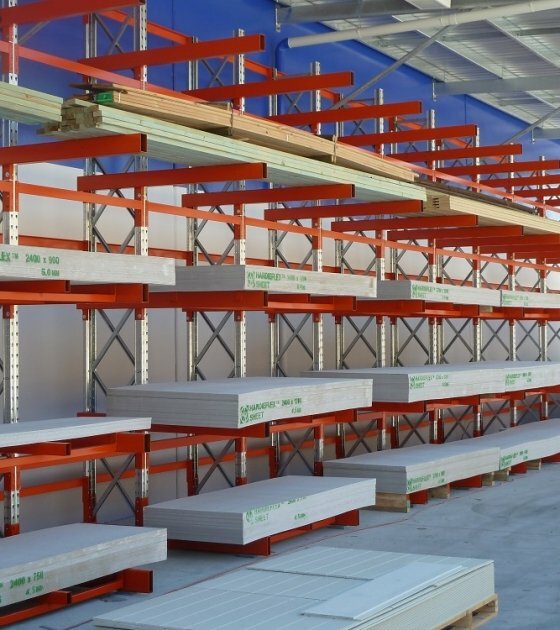 Cantilever racking is a pallet racking derived storage system. 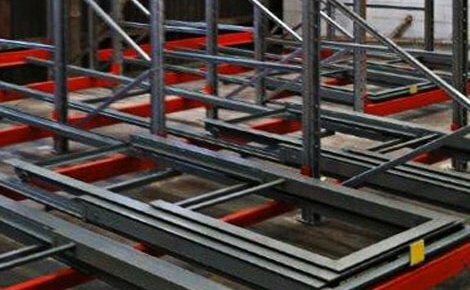 Cantilever racking combines the frame of a standard pallet racking system with the addition of solid arms and a bolted base making it ideal for storing timber, extrusions, pipes and other long loads. The braces that separate the uprights in the frame of a cantilever racking system can be adjusted to be closer together to increase the weight load capacity or further apart for the storage of larger items. The length of the arms can also be customised to fit any load. First is the base, which disperses weight into the ground – this is Dyna-bolted to the ground to prevent it from moving. Second is the frame that holds everything up and needs to be solid. Third is the arms, which come in a variety of lengths and weight capacities. Last is the cross beams, which space out the frames and allow bigger or smaller gaps depending on what product is being stored. 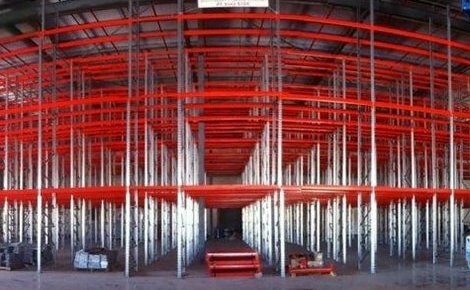 What Is Cantilever Racking Used For? However, if your item isn’t listed here, that doesn’t mean it can’t be stored with cantilever! There is a huge range of product that can be stored and we can tailor a solution to your needs. Customer service is exceptional. The staff are very friendly and helpful when I had any questions and queries. They provided me with all the information I needed and some that I didn’t even know I needed. When I organized something with them, they did exactly what they said they would do and they were always polite and punctual. 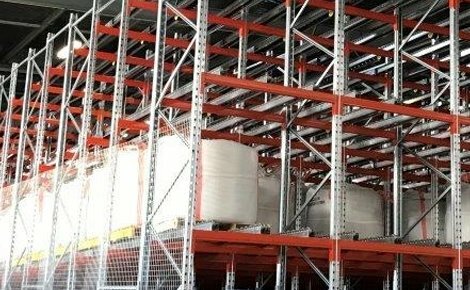 The price is very competitive and I would recommend Macrack to anyone needing Racking Solutions. Macrack Australia have been a pleasure to deal with on both occasions we have now used them. 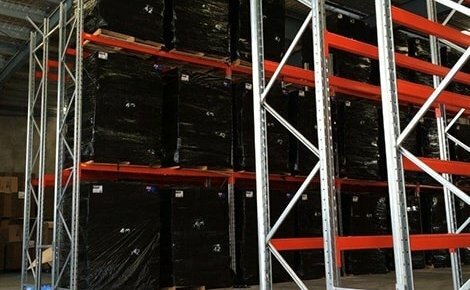 From the advice and suggestions given to maximise our space and storage, through to the team at install, we have had a very good experience and would highly recommend Macrack for your warehouse and storage needs. A+ Thanks Gary and the team. I would like to take this opportunity to thank the team at Macrack for the quality of work and product they supply. The staff are wonderful and it is great to see such professionalism thru-out this company. Jeff is a real asset to the business and it is always a pleasure to deal with the ladies in admin (Jo). 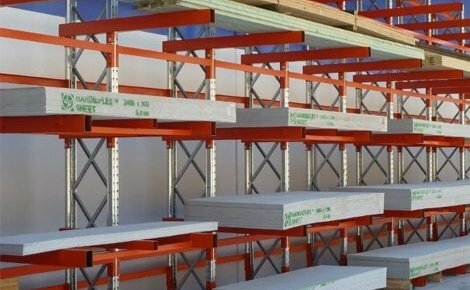 I highly recommend Macrack to any business looking to install pallet racking or stock shelving. From designer Leo through to the professional staff who replaced all the shelving in our warehouse and installed new pallet racking. The co-ordination was great and they fitted in with our tight schedule. Any query was answered promptly. Pricing was very competitive as well. We have tried other brands of rackings, but hands down the product from Macrack is by far the better choice. 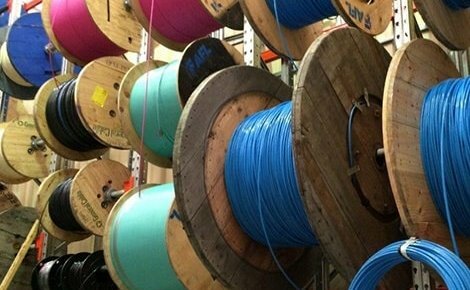 Rackings are designed to test the extreme elements and most importantly high standard of customer service. Highly recommended! 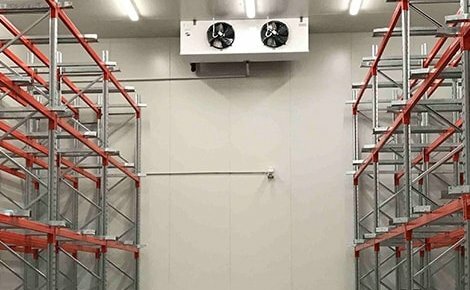 MACRACK uses a frame-derived solution for our cantilever racks, which involves using our famous pallet racking uprights to create an adjustable system for storing goods. This allows us to be extremely flexible in what can be stored, how much can be stored, and how much weight you can put on it. Unlike many other systems, the MACRACK system can be tailored to suit your exact requirements. For instance, we can adjust the distance between the uprights, saving you money by reducing the amount of frames needed to store your product. Alternatively, we can put more in to boost the weight capacity. Other customisation options we offer include arm variations. We can provide a wide range of arm lengths, changing how much weight an arm can hold and how many you want per frame (i.e. the number of levels). We often get asked, “How much for a cantilever rack?” Well, the answer isn’t that simple because everyone requires different performance capabilities. Some may want a short rack with 2 arms, while others may want a 5m-high rack with 8 arms. We can cater to all because our system is so flexible. This is why you should talk to a professional when buying a cantilever system, and you should never feel forced into using something that isn’t perfect for you. All our products are 100% Australian-made – a fact that we are unashamedly proud of. We support Australian businesses and you should too. We find that a lot of other companies import from overseas and the quality is just not the same. 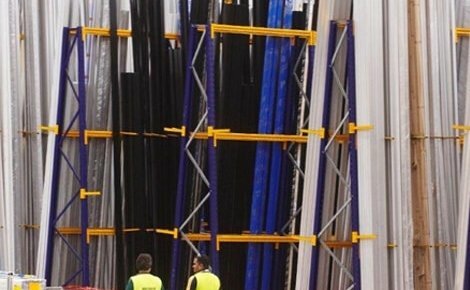 We know the quality of our racking is exceptional, which is why we offer a lifetime guarantee on all our products. The frames we use for our cantilever racks are made from pre-galvanised steel, which means they will never rust – so you can confidently place your racks outside if you need to. We also offer the arms and bases in a hot-dipped galvanised finish, making them rust-proof as well. So what are you waiting for? Want more floor space? Want to store your long items more efficiently? 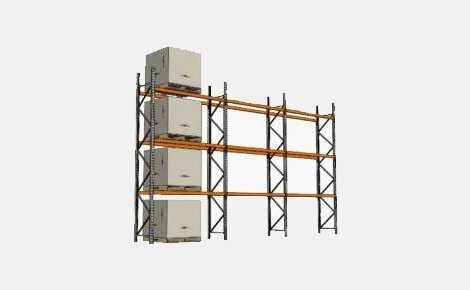 Get the MACRACK cantilever racking system in your warehouse. Contact us today to discuss your needs with a storage expert. 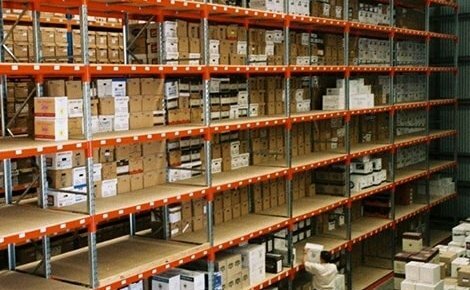 If you are looking to store long product standing on its end, our A-frame racking offers the perfect solution. For easy access to cable in your warehouse, our cable racking has steel rods placed through the centre, allowing cable to be easily unravelled. 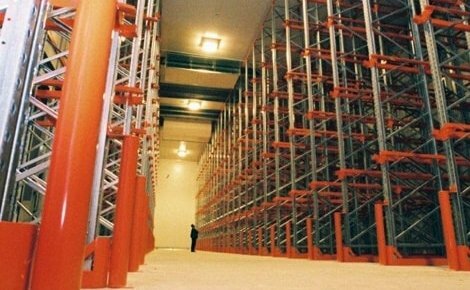 If you need storage space for long items, such as timber or pipe, our cantilever racking is the solution for you. 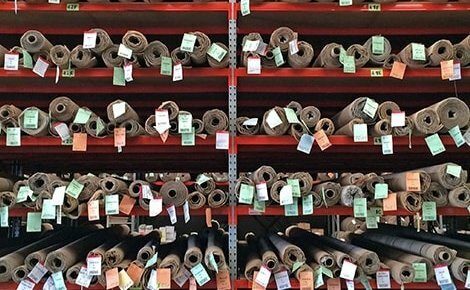 Store maximum product while using minimum floor space with our carpet racking, making easy picking for warehouse staff. Maximising the storage capacity in your warehouse, our drive-in racking allows you to store bulk pallets and makes storage a breeze. 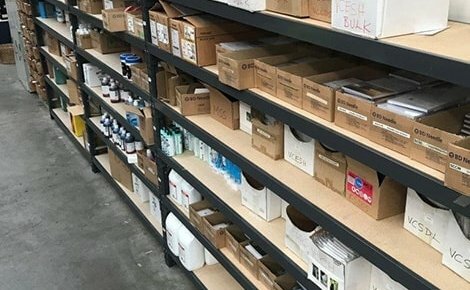 Our strong and affordable industrial shelving is custom-made to suit your warehouse and designed to last a lifetime. Double or even triple your warehouse space with our mezzanine floor raised storage areas, giving you more storage and picking area without the need to move warehouse! 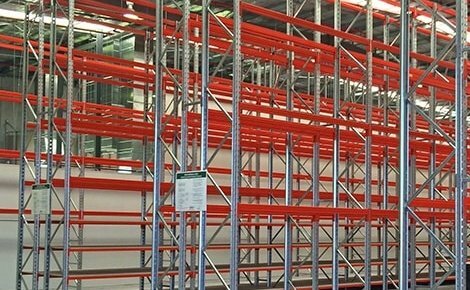 MACRACK Pallet Racking has a great range of longspan shelving that can be customised for every industry. Adjustable long span systems at competitive prices! 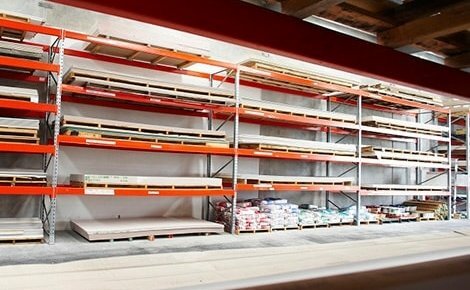 For warehouses that rely on stock pickers, choose our narrow aisle racking for easy access – perfect for furniture and other large products. 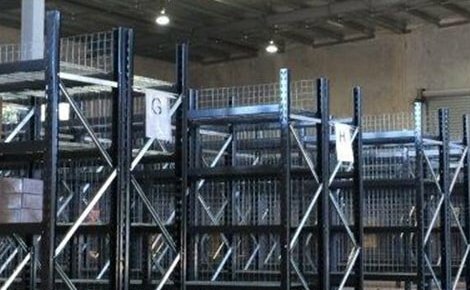 If you’re looking for a reliable, built to last system of pallet racking Brisbane or Australia wide, take advantage of our free site evaluation service. 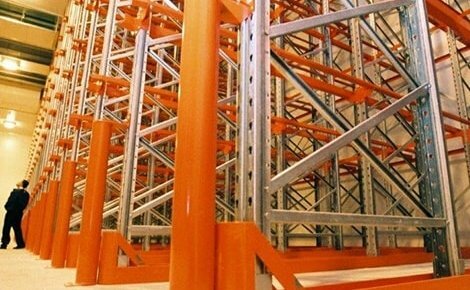 If you need high quality pallet racking you can rely on call MACRACK. 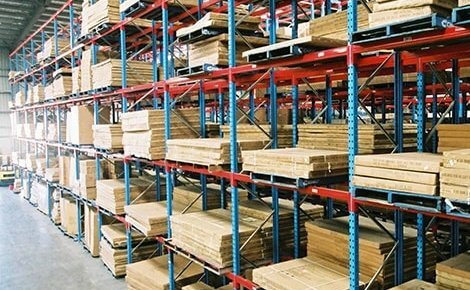 Based in Brisbane we supply quality pallet racking Gold Coast & Sunshine Coast wide. 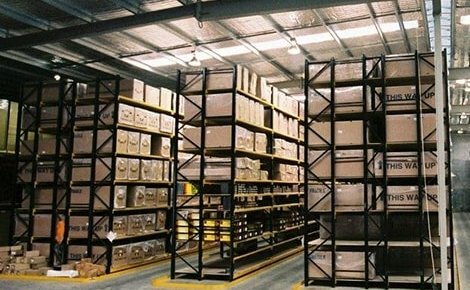 We are one of the leading pallet racking manufacturers in Australia, offering products that have superior quality and a lifetime guarantee. 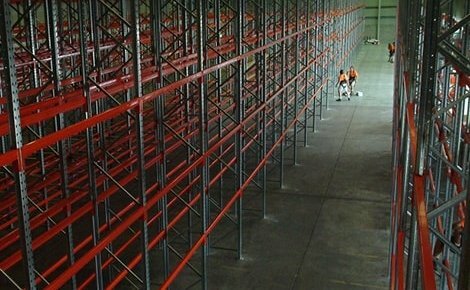 MACRACK provide quality design and installation services for pallet racking Sunshine Coast and Gold Coast wide. Call us today on 1800 048 821. Our coil racking provides secure storage for your metal coil, industrial drums and any other cylindrical items you may supply. 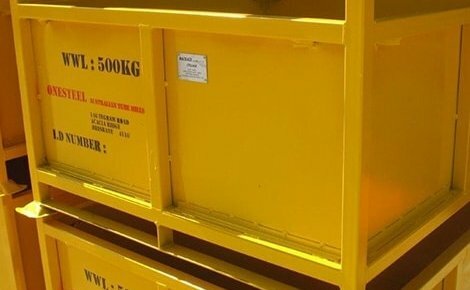 If you need a simple solution for storing industrial goods in bulk, our stillages can be customised to meet your unique needs. 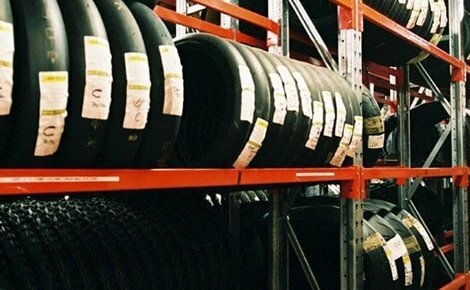 If you’re looking for a reliable and practical solution for storing tyres in your warehouse or garage, you can’t go past our sturdy tyre racking. 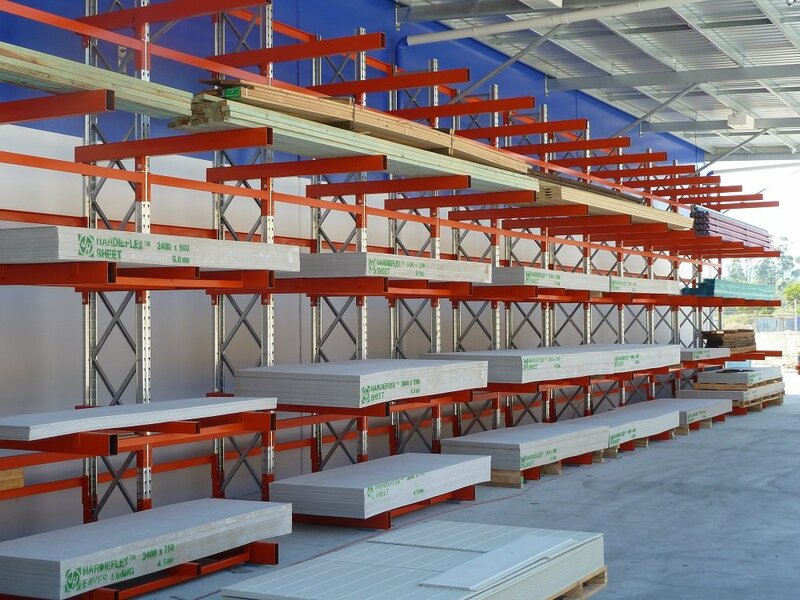 MACRACK is a leading manufacturer of longspan shelving Brisbane wide. Our reputation of satisfied customers is built on high-quality products at great prices! Our heavy-duty workbenches are developed to withstand tough warehouse environments. Choose from our basic, portable, packing and cable benches. A safe warehouse is a successful warehouse. Visit MACRACK today for more information on warehouse guards, padding, protection & more.